There’s a huge part of me that just wanted to find a home for that epic quote of Jens’s, even if it was a bit overly dramatic for a race report. But I think there’s some truth that what’s familiar can become comfortable, even if it’s something that once seemed impossible. While I don’t expect the suffering in Ironman to disappear, the dull ache of Ironman and long distance training is certainly something that I’ve become reasonably accustomed to over the years. It’s something I know to expect and know fairly well how to tolerate and deal with. Although, perhaps as punishment for starting this blog in this way a week ago, the past week of dull-ache-Ironman training has beaten me down so much that I’m just now getting around to finishing this post. Every time I get ready for an Ironman, I’m struck with this sense of, “I didn’t remember this being so hard.” So the mind/body is clearly capable of forgetting plenty. But one thing I had most definitely forgotten, thanks to a lengthy absence, was the acute pain of Olympic distance racing. There is always something somewhat unique about the pain of race day – when competition pushes you beyond what you might do in training, and that seems to be magnified when the race is short enough that there’s never really any chance to settle into a rhythm. I think there can be a lot of benefit to that, especially on the swim, where despite only being 400m shorter than a half-Ironman swim, the effort is high and consistent the whole swim. This is a good lesson because it’s clear how much time you can lose when you relax and settle during the swim. On the bike, it’s actually more similar to what half-Ironman has become at the pro level – a long short-course race – with the pace being reasonably high the whole way. Part of it is that I seem always to struggle to find that next gear over half-Ironman pace, most likely because I don’t train it. I was happy to come away with the 2nd fastest bike split on the day, proof that even if I’m not that much faster than I am for long stuff, I’ve still got some speed on the bike. But the big shock to the system was on the run. To run a fast 10km, especially off the bike, you need to train for it. And I just haven’t. 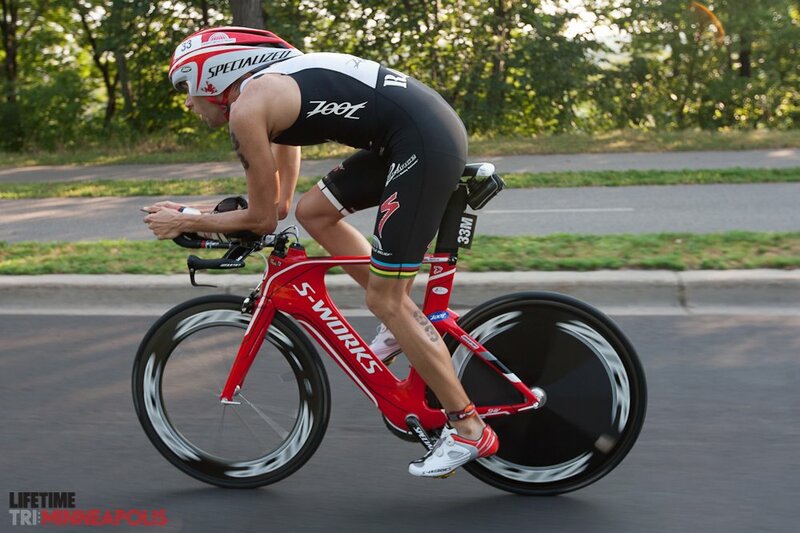 I don’t expect to ever be ITU-fast, but I think with proper training, I can run sub-33min for a 10km off the bike. I’ve run 34-flat for a legit 10k in a race before, but the pace on the swim and bike was easier, and, more importantly, I had actually prepared for it. However, in spite of all that suffering, I still had my best ever showing at a competitive Olympic distance race. This is actually the first time I’ve finished in the money at a race with high-level competition. I thought it was actually my first time ever getting paid at an Olympic distance race, but I realized that was the SuperSeal Olympic back in 2009. Great race, by the way, that helps support the Navy Seal Foundation. But more than anything, I was thankful for the chance to get out there and race. When I adjusted my schedule, I was worried that I might end up with a lot fewer opportunities to race than I had planned on, and almost no races in between IMTX and IMNYC. While I’ve had successful races that way, I do think it’s tough to do early in the season, when you don’t have the race experience as compared with the end of the season, such as ’09 when I did IMC and IMAZ with nothing in between or in ’11 when I did IMC and ITU LD WC with nothing in between. But right now, I had only a handful of races in my legs, and I knew it would be good to find some opportunities to put myself in a race situation. But loading up with a bunch of half-Ironmans would have been a riskier proposition, even if that’s a distance that offers a nice balance of being long enough enough for me to do well without being so long as an Ironman as to really wreck you. So when I went looking for some races, I got lucky with some interest from the Life Time Fitness folks in brining me back to Minneapolis, a surprise after my not really very stellar showing the last time I raced there in 2008, finishing a non-remarkable 13th, if I recall correctly. But given the very nice partnership we have on the Leadman series, I think Life Time welcomed the opportunity to reinforce the connection between their races. Despite being a new series, Leadman is put on by a crew of folks that really knows how to put on a great race. The Minneapolis race like most, if not all, of the races in the Toyota Cup series is a first rate event. And so I welcomed the opportunity to remind people that just because you race long distance, it doesn’t mean you only race long distance. And I hope that just as I went short, I hope that some of the folks that enjoy the LTF race in Minneapolis might consider going long with Leadman. I think that many folks get in the mindset of, “I race long course,” or, “I race Ironman,” and they forget how much fun and how good an experience (both training and more generally as fun) a short-course race can be. If I was better at it, I’d certainly do more of these races. At least, I say that now that the hurt has subsided. Anyway, as this wonderful video recap of the day says, “Short Course is not a crime.” Though, if you like the Life Time short course events, I think you’ll like their long stuff too.